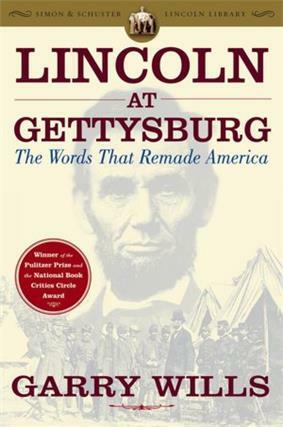 Lincoln at Gettysburg: The Words That Remade America written by Garry Wills and published by Simon & Schuster in 1992, won the 1993 Pulitzer Prize for General Non-Fiction and the 1992 National Book Critics Circle Award for Criticism. The book uses Lincoln's notably short speech at Gettysburg to examine his rhetoric overall. In particular, Wills compares Lincoln's speech to Edward Everett's delivered on the same day, focusing on the influences of the Greek revival in the United States and 19th century transcendentalist thought. Wills also argues that Lincoln's speech draws from his interpretation of the U.S. Constitution; Lincoln considered the Declaration of Independence the first founding document, and therefore looked to its emphasis on equality (changing Locke's phrase "Life, Liberty, and Property" to "Life, Liberty, and the Pursuit of Happiness") in issuing the Emancipation Proclamation.